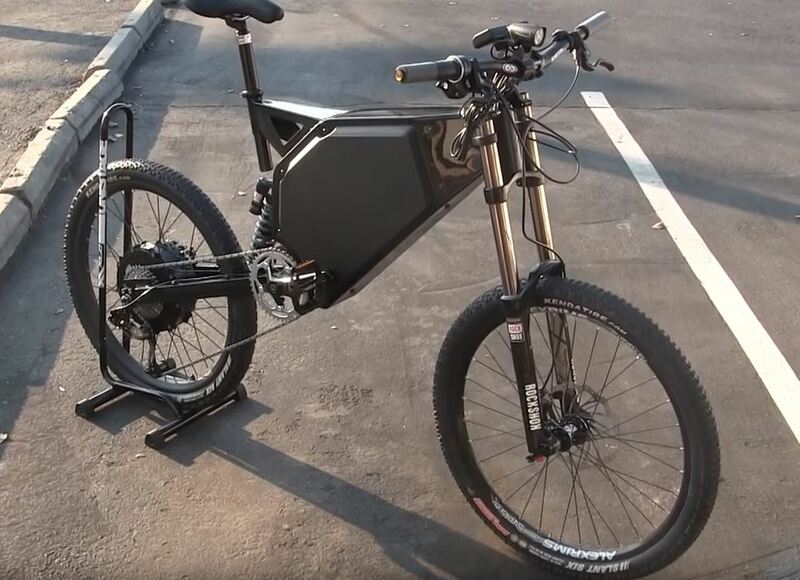 According to the video published on YouTube, the Wolverine BM (Ballistic Missile) is supposed to be the most powerful electric bike ever produced with its 7000 Watts of output. Its constructors from Hi-Trek Cycles believe it can reach speed exceeding 100 km/h. The frame has a steel body with plastic covering and carbon fibre side panels that are holding massive battery system. The motor’s switch on system should be operated by the owner’s key in the future series models. The frame is equipped with the Rock-Shox suspension on both front and rear wheel, providing you with more than 203 mm of travel. The Hi-Trek Cycles bike presented online looks a little bit weird to us as the end of the seat post is so long that it would mess up with the rear suspension spring when meeting the first bump. This leads us to doubting if such a bike would actually work as promised at all. 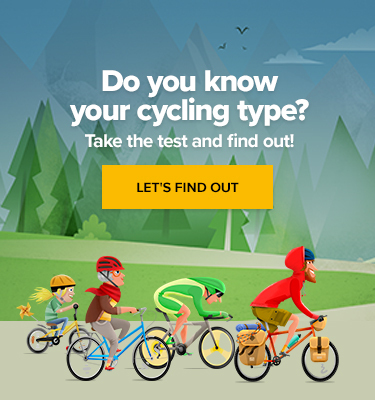 Nyx Bikes is a Canadian company that has been around for more than 25 years. In 2014, after two years of development and four prototypes, the company owners Eloi Fugere and Cedrick Baker created the first carbon fibre electric bike frame kit. X14 is the advanced model of the first prototype equipped with a hub motor that can produce continuous 3000 Watts of power and up to 14 000 Watts of peak power. Simply by twisting the throttle, you will be able to ride up to 95km/h, go from zero to 50km/h in less than 4.5 sec and have a range of 80 km at 32km/h. The 203mm travel will help you make your way through any kind of terrain. 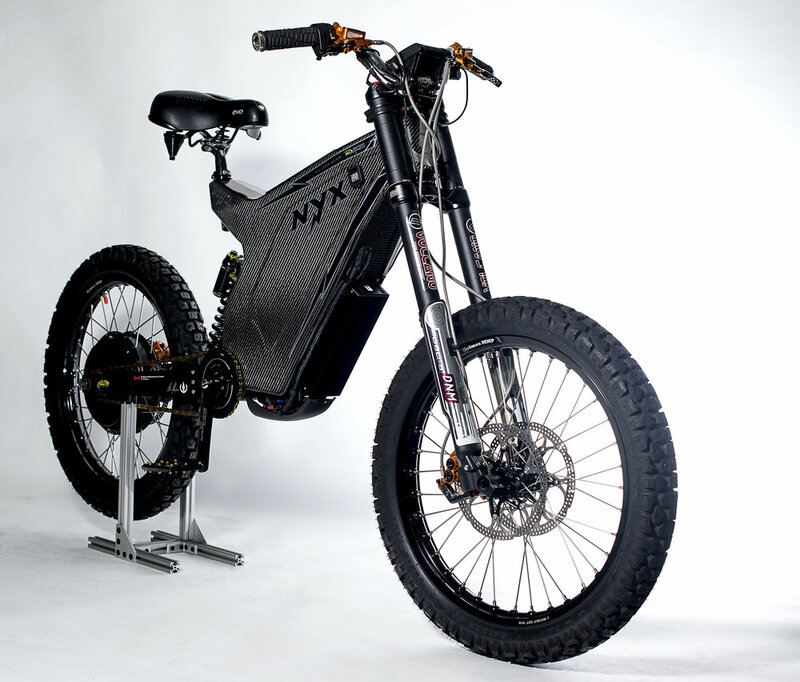 This hybrid bomber blends conventional pedal power with purely electric thrust. 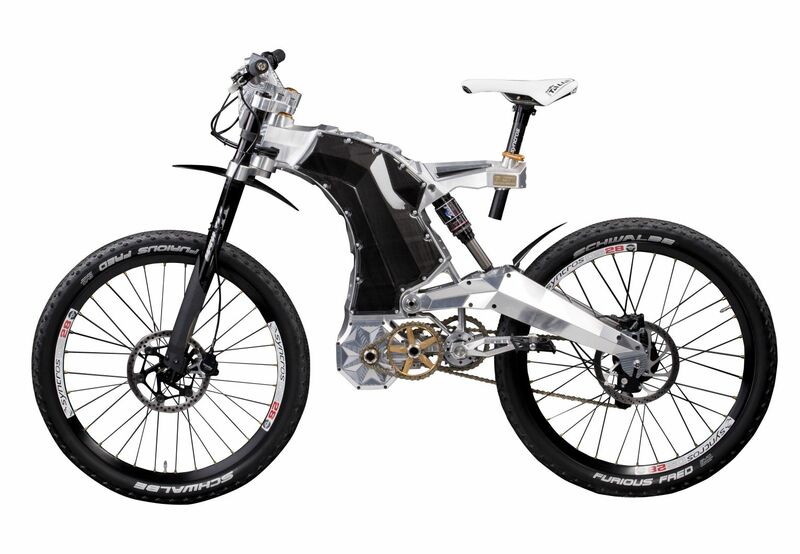 Offering top-power output of 5,2 kW (5200 Watts), the B-52 will outrun most of the e-bikes available on the market. It’s robust and ready to tackle any situation you throw at it. With the top speed of 80km/h, the B-52 is a high-velocity machine, hardly to be matched by anything else. On a single charge, this bike gives you a range of 80 kilometres. Premium parts and precious engineering should ensure great performance and low maintenance costs. In hard terrain, it relies on its powerful motocross-inspired frame with 250 mm of rear wheel travel and 200mm front suspension fork. It should stop with confidence, thanks to Magura hydraulic disc brakes. This nasty overpriced machine with muscular and futuristic design aims to turn heads. The M55 Terminus is powered by eight battery cells ingeniously built into the bike’s self-supporting frame. Titanium, carbon fibre, and CNC-machined aluminium give the M55 the strength to tackle the toughest terrain. The suspension and braking technologies are derived from the F1 racing to produce the ultimate ride quality and off-road safety. The manufacturer guarantees high performance even after more than 1000 charging cycles. Everything said sounds nice and all but for us, it’s still way too expensive.